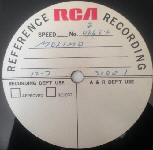 This Molimo demo acetate is 'discovered' January 2014 when Record collector Chris Reisman was working his way through an extensive vinyl collection in a barn in upstate New York when, in the last bit of excavating, he found a box full of decades-old acetates and demos. Among them, KISS guitarist Ace Frehley's earliest known major label recordings as part of shelved psychadelic/prog-rock outfit Molimo. Recorded for RCA in 1971, the record's existence has been the source of much speculation for KISS over the years, but when a quest to find it in RCA's vaults proved unfruitful, hope seemed lost. Reisman's find is the single biggest "lost" music discovery since the Velvet Underground 1966 acetate was found by collector Warren Hill at a Portland garage sale in 2004. The RCA Vaults were searched for this years ago, and it was documented they didn't turn anything up. After Ace Frehley left Molimo and went to Casablanca Records to record with KISS, he brought his old band members [from Molimo] with him to record an album. The band's called Tomorrow Morning. That's another acetate that was found inside that same batch. They recorded an album that never came out. MOLIMO recorded half an album for RCA Records in 1971. The band's history begins in Kansas, where Roy Singer and Tom Ellis attended school together. The two moved to New York City in 1969 and formed a band based on the Jefferson Airplane standard of mixed male/female vocals. The band went through numerous line-up changes, before RCA producer Stephen Schwartz hooked them up with Christine. 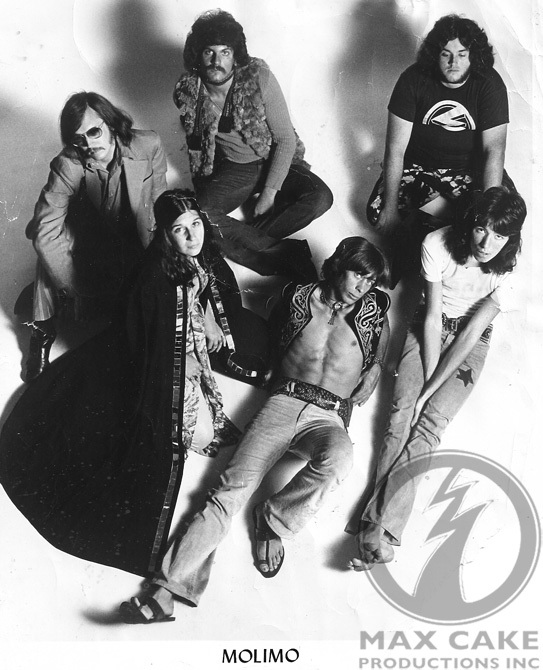 Eventually the band solidified, and with the addition of Ace, the band practiced and wrote for a year as they found a common ground between the members diverse musical backgrounds. Ace joined the band as "Paul," but became "Ace" during his tenure. According to Tom, Molimo was named after a "secret musical instrument used by the African pygmies for their initiation ceremonies." The band's end was abrupt. They were booed off the stage while opening for Phil Ochs who was transitioning back to folk from rock. Molimo's heavy rock was not appreciated, and members of the band felt that they were heading in the wrong direction. Tom recalls Ace: "He always sounded just like he did when he went to KISS." While Ace went his own way he remained friendly with the band as they transformed into Tomorrow Morning. In fact, Kiss apparently rehearsed at the band's loft at 414 Broadway and invited members to Kiss' show at the Filmore East, where apparently Gene's hair caught on fire. Amusingly, following the band's demise the core, Roy, Christine, and Tom, formed a new band, Tomorrow Morning, and were signed to Casablanca Records in 1974. They released a single, "Freewheeling" and "I Wished I Was In California," produced by Kenny Kerner & Richie Wise, in the summer of 1974! One Molimo recording, "East of Yesterday," was broadcast on Richard Robinson's "Rock Stars" radio show, produced by Kenny Weichert, the week of March 22, 1971. The broadcast also included an interview with Tom, Roy, Christine, and Ace.